This summer, the ANA (American Nurses Association) released a new position statement regarding Incivility, Bullying, and Workplace Violence. It clearly states that “All RNs and employers in all settings, including practice, academia, and research, must collaborate to create a culture of respect that is free of incivility, bullying, and workplace violence”. Any kind of workplace violence whether it be physical, verbal or psychological is not to be tolerated and should be reported immediately. This applies to bullying incidents/workplace violence from a co-worker, patient or patient’s family member. When these incidents are allowed to continue, there are many damaging consequences including psychological, financial and a toxic work environment. A leading long-term care nurses group is praising a tough, new “zero tolerance” the American Nurses Association has adopted regarding violence and bullying in healthcare workplaces. The ANA's new policy includes recommendations to prevent and handle violence like encouraging employees to report incidents of violence, avoiding blaming employees for violence perpetrated by non-employees and developing a violence prevention program aligned with federal health and safety guidelines. Violence against healthcare workers, especially nursing assistants, should be handled with more scrutiny by long-term care providers, according to American Association for Long Term Care Nursing Executive Director Charlotte Eliopoulos, RN, MPH, PhD. 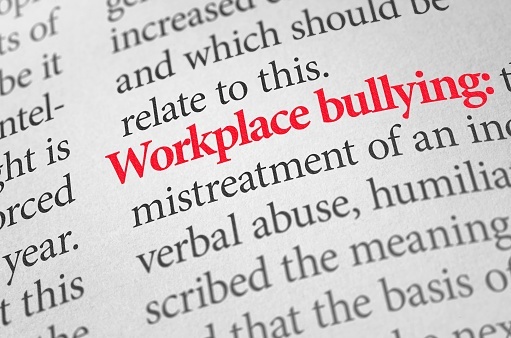 Take a stand against workplace bullying.